A case under charges of culpable homicide not amounting to murder was registered and driver Goud was arrested and sent to remand. 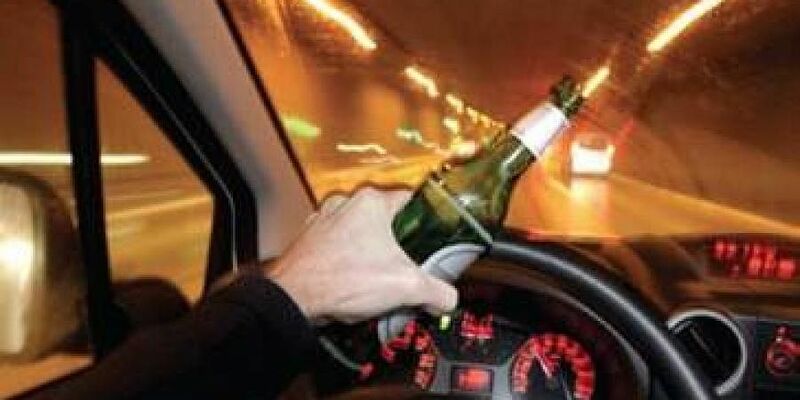 HYDERABAD: Drunk and speeding beyond limits, a cab driver ran over five persons on the PVNR expressway in the early hours of Friday. While one person died, four others have been injured. The five victims were labourers installing CCTV cameras on the stretch. The driver rammed with such impact that the deceased was flung over the parapet wall of the elevated expressway and landed on the road below. He suffered severe injuries and died on the spot. Mallikarjun Goud, the driver, recorded an alcohol level of 176 in the breathalyser test. Law does not permit driving when blood alcohol content is above 30. Police officials say that the workers were all wearing reflective jackets and had cordoned off their work area with plastic cones. HMDA recently commissioned the installation of CCTV cameras on the expressway and contract labourers hired by private internet company Act Fibernet were at the job. Around five of them were working near the pillar no. 179 at around 2.30 am when the accident happened. Goud was returning home, to Kismatpur, when he knocked them down. Workers who survived the accident say Goud kept driving and fled from the spot. “He hit us and went ahead and crashed into the parapet wall. Then he pulled back and sped away, not even bothering to see what had happened to us,” said one of the workers. T Naveen Goud, a project manager with Act Fibernet, who was overseeing the works, immediately alerted the police and called for an ambulance. When police arrived they found 40-year-old Rainuthala Kataiah had died while J Venkatreddy, Sudhakar, Suresh and Alli Muttaiah suffered fractures. They were shifted to Osmania Hospital. Police teams that went in search of the driver found his car broken down on the way to Aramghar. The driver was arrested and has confessed to the crime. A case under charges of culpable homicide not amounting to murder was registered and driver Goud was arrested and sent to remand.